Patients tell us the dentistry we practice is unlike anything they have ever experienced. Through advanced dental science and a comprehensive, systemic approach to dental services, we significantly improve the oral health and overall well-being of those we care for. 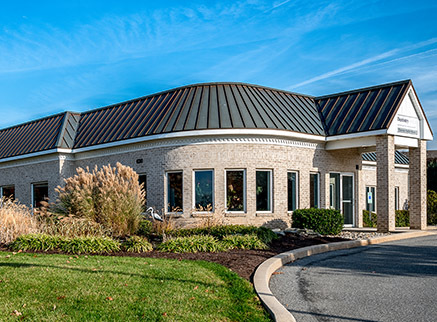 Our patients enjoy advanced benefits not typically available to Lancaster County patients. Better Outcomes – More durable, longer lasting and better looking restorations, crowns, implants, and other dental appliances. Increased Patient Comfort – Superior in-chair comfort. Reduction of pain, discomfort, and stress. More Patient Convenience – One-visit crown procedures. No waiting. No temporaries. Fewer office visits. Enhanced Life Experience – A healthier and more rewarding quality of life and physical wellness. Reduction of the dental difficulties and diseases patients often endure with many practices. The dentistry our staff practices is personalized – taking individual needs and goals into consideration. It is preemptive – addressing problems thoroughly at the very beginning instead of offering less complete solutions that will eventually lead to larger problems. And it is comprehensive – focusing not only on oral health but also on important life-enhancing issues such as a patient's bite, facial structure, and the effects of oral disease on the cardiovascular system. We sincerely believe your experience at Dentistry for Life will change your life. Dr. Herres was raised in Wellsboro, a rural town in northern Pennsylvania, and attended undergraduate school at Lycoming College in Williamsport. While he was in dental school at Temple University, he was the recipient of the prestigious health professional scholarship program from the United States Navy. 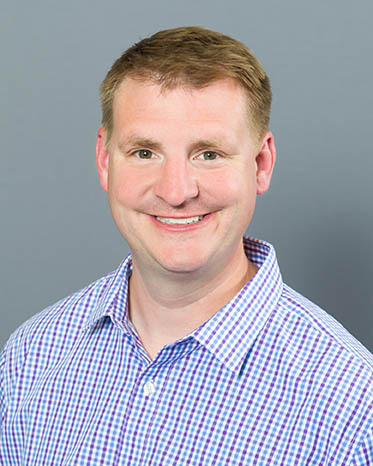 Upon receiving his degree in dental medicine, Dr. Herres was accepted into a one-year residency in Advanced Education of General Dentistry (AEGD) at the Naval Hospital Great Lakes at the Navy Recruit Training Command in Great Lakes, IL. After graduating from his AEGD Residency, Dr. Herres was selected to establish and run a comprehensive dental practice at sea on board the Navy’s newest warship, the U.S.S. MESA VERDE. He served in that capacity for three years, with responsibilities including the dental care of 364 sailors and 1,100 marines. His time on board included two deployments and humanitarian relief in Haiti following the earthquake in 2010. At the end of his naval career, Dr. Herres was awarded the Navy and Marine Corps Commendation Medal for his diligence and the excellence in care he provided for his sailors. It was during his residency training that Dr. Herres’ passion for a subspecialty in Periodontics (Gum Tissue Diseases) and Implantology arose. During the time his ship was ported in Norfolk, VA he completed a three-year independent study in Periodontics and implant placement with four of the Navy’s top Periodontists. Dr. Herres strongly believes in continuing education and strives to achieve the highest level of patient care. He has completed a one-year fellowship at the University of Medicine and Dentistry of New Jersey in the surgical placement and restoration of dental implants. Upon the completion of the fellowship, he became board-eligible for the American Board of Oral Implantology and is actively seeking the certification. Dr. Herres received the Academy of General Dentistry Fellowship Award, June 2015. As a Fellowship Award recipient, Dr. Herres joins more than 6,400 active AGD Fellows who have gone above and beyond the basic requirements to care for their patients’ oral health. Less than 2% of practicing dentists have received this award. Recently, Dr. Herres completed a year-long training session in IV anesthesiology through Allegeheny General, Duquane Univeristy and Pittsburg University. It is with this additional training that he hopes to break down the barrier of dental fears for anxious patients. Dr. Herres resides in Elizabethtown, the hometown of his wife, the former April Perry. He and his wife have 3 young children, Benjamin, Ella and Julia. As the father of a young and growing family, Dr. Herres understands how important oral health is to parents. He is looking forward to providing superior care for the families of the Lancaster areas for many years to come. Dr. Votilla studied biology at the University of Dayton, graduating in 1981. He earned his Doctor of Dental Medicine from Temple University’s School of Dentistry four years later. He relocated to Lancaster in 1987, attracted by the wonderful people and bucolic lifestyle. 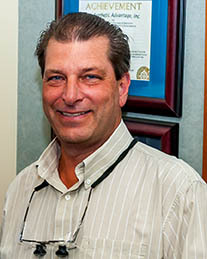 He has been providing stellar dental care to his patients for over 23 years. Dr. Votilla maintains active memberships in the American Academy of General Dentistry, the American Dental Association, the Pennsylvania Dental Association, the Lancaster County Dental Society, and the Lancaster Chapter of the Seattle Study Club. He has pursued significant advanced training both at the L.D. Pankey Institute and the Dawson Center for Advanced Dental Education. Dr. Votilla has completed advanced, hands-on training for aesthetic dentistry through the Aesthetic Advantage Program at New York University’s School of Dentistry. His chief areas of concentration are Dental Aesthetics, Dental Implantology, and the Invisalign System. Dr. Votilla thoroughly enjoys providing individualized, comprehensive care and the relationships that he has been able to establish with his patients while doing so. Dr. Votilla resides in Lancaster with his three children. In his free time, he enjoys playing golf and spending time with family and friends. Our patients often tell us the dentistry we practice is like nothing they have ever experienced. It's more thorough, more state-of-the-art, and more tailored to meet individual needs. That's because Dentistry for Life is not only the name of our practice; it embodies a philosophy that's a radical departure from the way most dentistry is delivered today. Your visit to our practice will not only benefit your oral health but the quality of your overall health and happiness, now and in the future. To learn more about what your dental visit will be like at our practice, click here.